Grade 3 is really really fun. In grade 3 we have lots of math. In grade 3 we have a math game called IXL.com Why not give it a try? IXL is for grades 1 2 3 4 5 6 7 8 9 10 11. It is awesome. My sister has a hurt ankle which happened about 4 Months ago. I hope she gets better. Every night we make our lunch. We have a check board so that we know what food to pack. 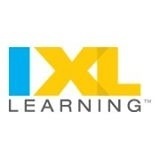 Through IXL are you getting better and better at math? What’s your favourite thing to pack in your lunch? I like putting a apple in my lunch. One question for you what is the handwriting game called? Ok. If you where in grade 1234567891011 would you do it? Hi Cole If I had your natural creative and scientific talents, I “would” keep trying for ever! Wow.. making your own lunch! Good work! What is your favorite thing to take for lunch. Glad you hear you are having fun with math… Math is cool.